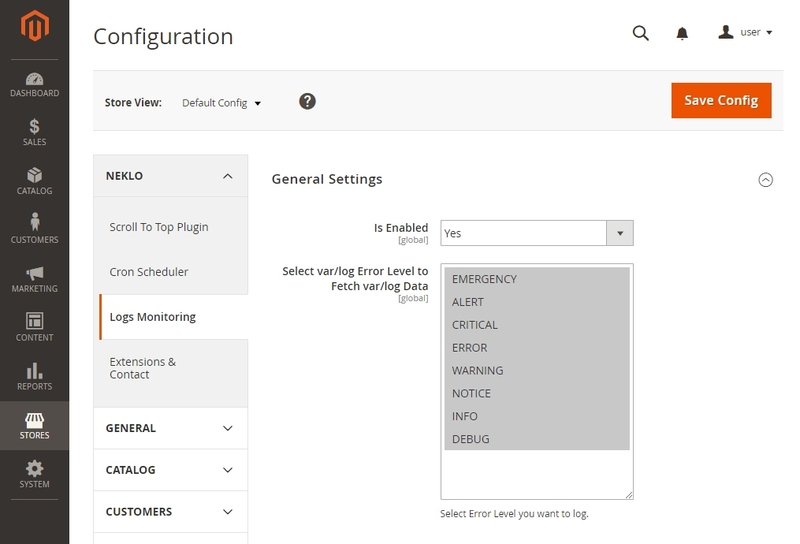 Log Monitoring is an extension for Magento 2, offering you a better way to monitor log errors and reports in a few clicks from the admin panel. 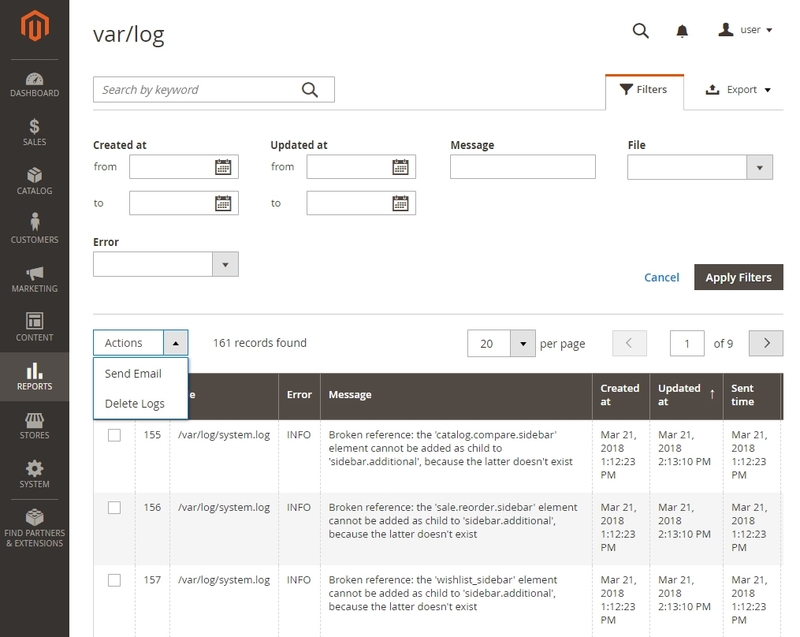 View var/log and var/reports in a convenient grid, configure custom email notifications to make sure your Magento store administrators know about errors immediately. Notifications are sent in both automatic and manual mode. 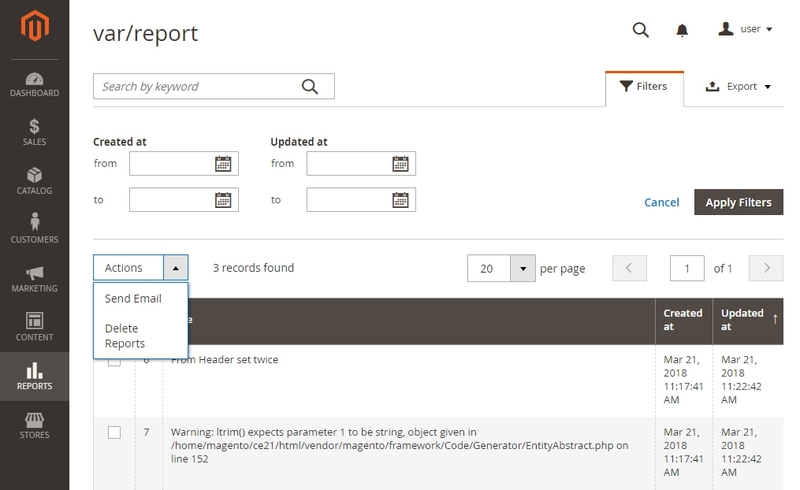 Magento log viewer extension is a powerful yet simple instrument to keep a close eye on your Magento online store condition. 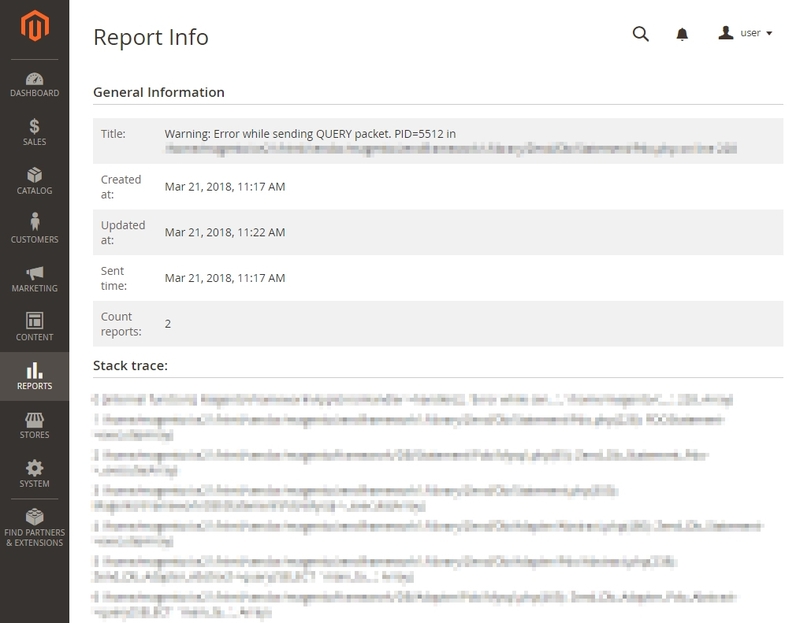 It allows you to have quick access to extensive grids with log errors and reports, including all the details and various options to manage and export the data. 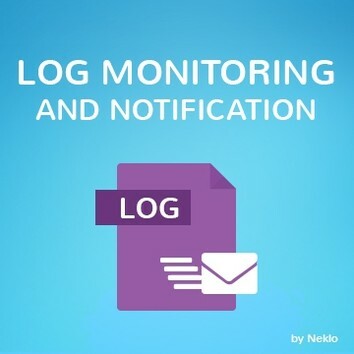 Besides basic managing options, the features of Log Monitoring extension include shared access to data for the store administrators, and email notifications for any time an error occurs. You can adapt notification system for your team and your requirements. You can choose when you want to get notifications, what they should contain, and who will get them. 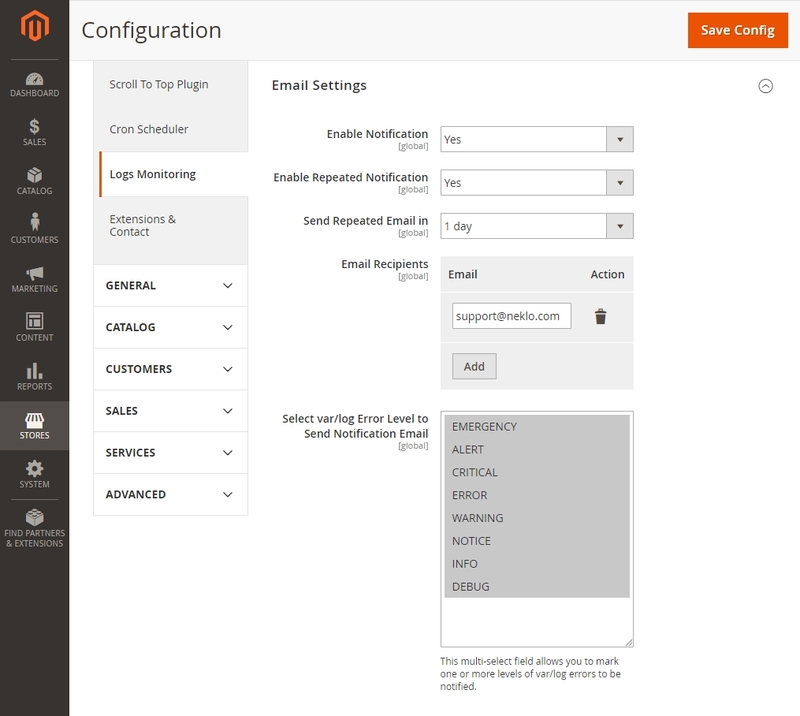 Flexible Email Settings allow you to enable automatic notifications, add scheduled emails and set suitable time limits if there is such a need. If your store has a team of administrators, you can assign multiple notification recipients and manage them in one click. 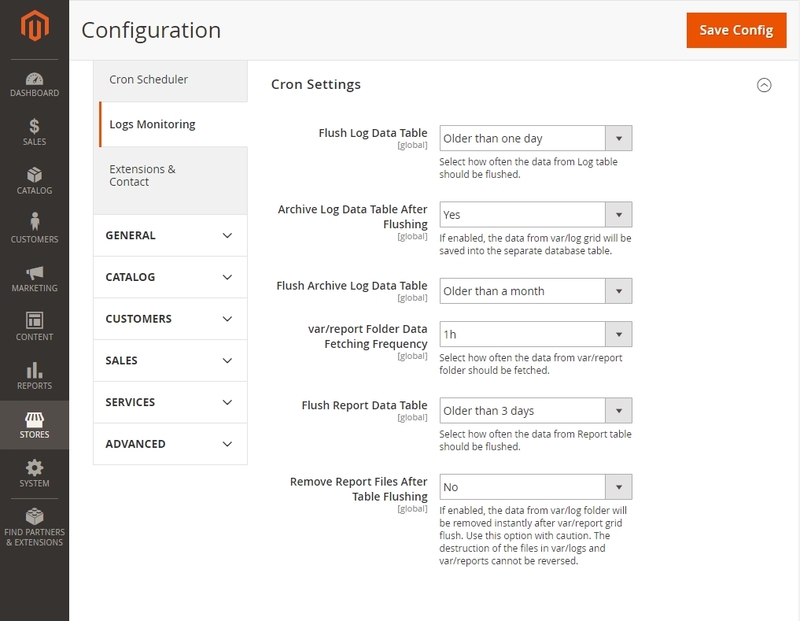 Multiple settings are available to schedule cron jobs that populate var/log and var/report grids. 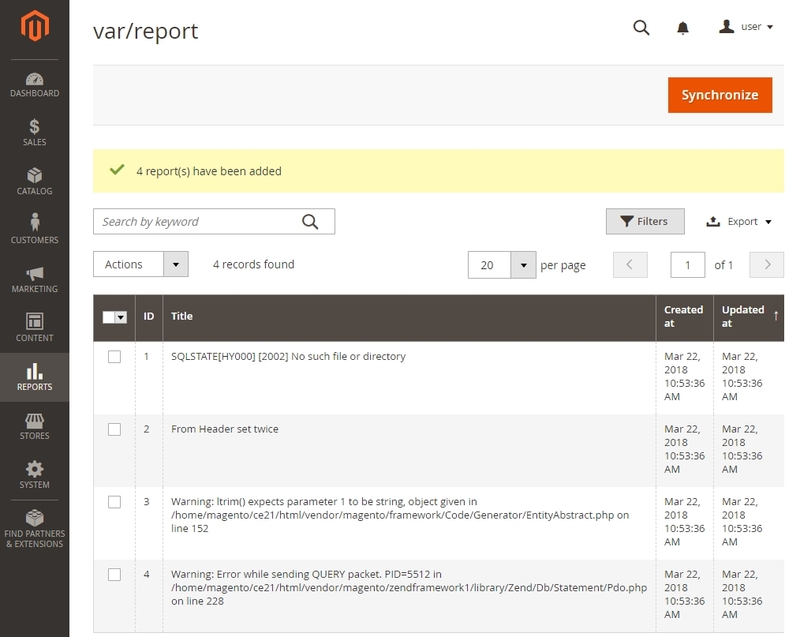 You can choose how often the data from var/report folder is fetched, assign time and frequency for managing content in var/report and var/log folders, set the time limit for var/log data to be archived, and choose whether the files in var/report folders should be deleted instantly after the reports about them were created. 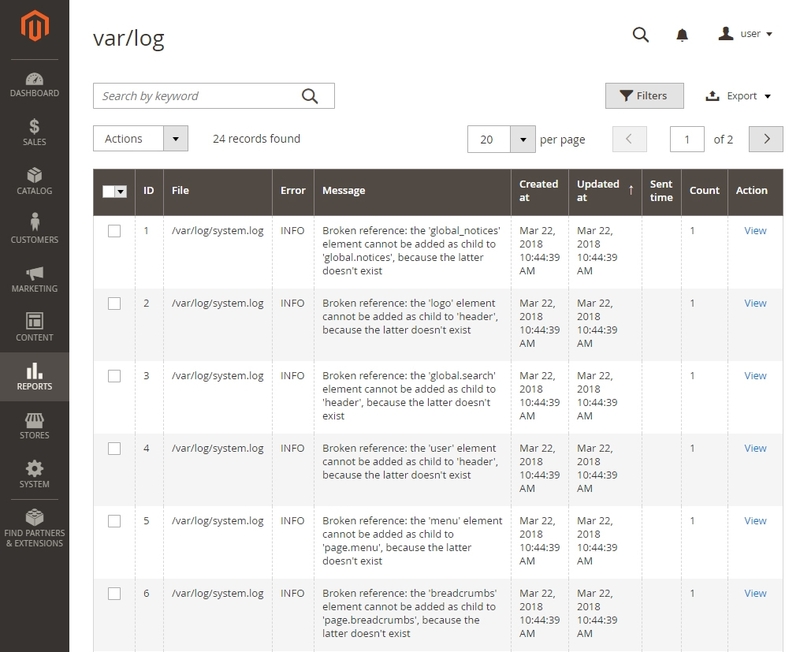 Have instant access to data in var/log and var/report tables via grids. They contain all necessary data about log errors and reports, including error type, created and last updated dates properties. Besides viewing each item on the grid, you can manage them in every way possible. You can sort by properties, update data in reports grid and delete items you don’t need anymore, and export both log errors and reports to CSV or Excel XML file. Advanced settings allow you to keep any admin user informed by customized email notification you can send right from the grids. Log Monitoring extension for Magento 2 you can enhance your online store monitoring and extend its functionality, making it easier for the admins to manage and respond to errors efficiently.